Home / Boats / Garmin Panoptix LiveScope – Is It As Good As They Say? 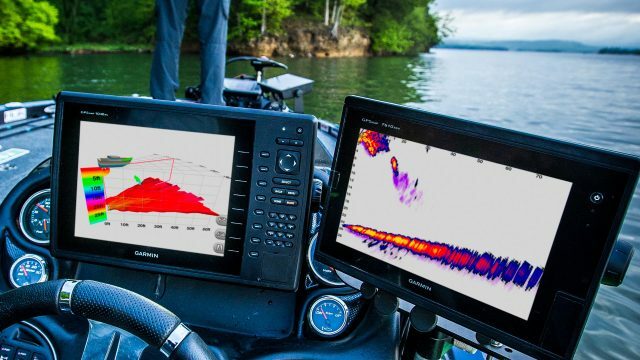 Those of you who keep up on the latest and greatest in marine electronics have surely heard about Garmin’s Panoptix LiveScope system by now, especially since it won the Best of Show award at the 2018 ICAST fishing tackle show. Being able to see a fish’s body shape and fins may, in some scenarios, allow you to actually differentiate between species. That’s a crazy-cool ability, and it adds a completely new dimension to just how you might you might use sonar when fishing. 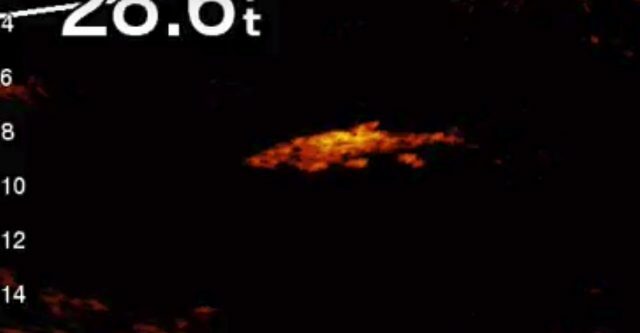 But, how’s this sort of detail in a forward-looking sonar possible in the first place? To get a firm grasp on the tech involved, you first have to remember how traditional and CHIRP sonars work. Traditional sends out pings, one after the next, of a certain frequency. CHIRP goes one better, by sending out a rapid series of pings through a range of frequencies. But instead of sending an individual ping or a series of pings, LiveScope blasts out multi-frequency bursts all at once. It does so via three different forward-looking elements in the transducer, each at different angles, arranged into a fan-shape array. LiveScope’s GLS 10 black-box processor then stitches all of the different transducer returns together, into a single image. This then gets projected onto the LCD screen. It all happens in the blink of an eye (Garmin likes to say it’s “real-time” scanning) and a down-looking element also built into the transducer allows for similar views of what’s directly beneath the boat at the same time. 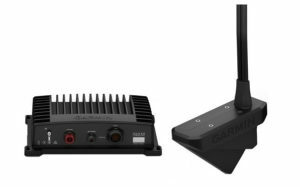 The unusual multi-element transducer is a huge part of what gives LiveScope its abilities, while the GLS 10 black-box provides the computing muscle needed to turn the pings into pictures. While the tech we’ve described is pretty impressive, it actually isn’t quite good enough to provide the rather shocking imagery seen on-screen. The remaining hurdle is the fact that boats move, and the system needs a way to account for rocking, rolling, and pitching in order to maintain its detail levels. Garmin attacked this problem by integrating an attitude heading reference system (AHRS) into Panoptix LiveScope. AHRS have sensors on three axes to provide 3D orientation, and are used in everything from airplanes to robotics. In this case, the AHRS adjusts the sonar beam returns, more or less in real-time, to compensate for your boat’s motion and provide the transducer with “virtual” stability. Naturally, like any system there are certain limitations and constraints. In this case, one of importance particularly to saltwater anglers is range; 200-feet is as far as LiveScope can see. It’s important to note, however, that thanks to a down-looking element which is also incorporated into the transducer, you can get separate views of what’s directly beneath your boat at the same time as using the forward-looking sonar. LiveScope in down-looking mode is just as impressive as in forward-looking mode. Gathering all this data at once, however, leads us to that same issue we encountered when considering 3D fishfinders: you need an awful lot of screen space in order to effectively view all the information at the same time. 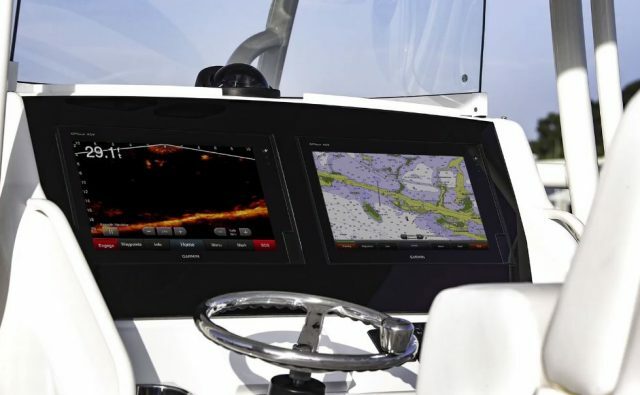 Let’s say you want to keep up a chartplotter screen to monitor boat positioning, a forward-looking LiveScope view to see what’s directly ahead, a LiveScope or traditional down-looking view, and a SideVu side-scanning screen to watch for structure off to either side of the boat. 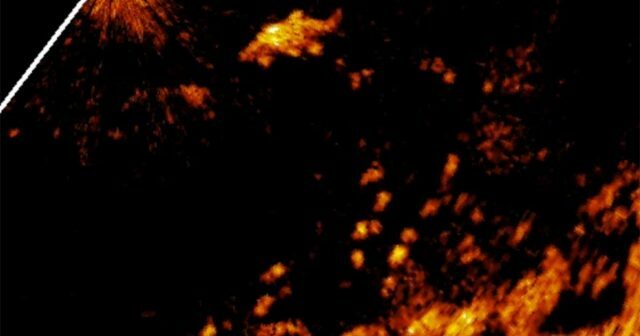 That means quad-splitting the screen, and on a single screen – even the largest ones – you’ll likely be disappointed in the resulting visible detail. You’ll really need a dual-monitor display at the helm, in order to fully-utilize the many different views that go along with a system like this. And they need to be big; twin 12-inchers will not seem like overkill at all. Even on a small boat, you’ll need multiple monitors to take full advantage of a system like LiveScope. Another potentially limiting factor is that tricked-out transducer. It works best when mounted on an electric trolling motor, on the bow. If you don’t have an electric trolling motor, the transducer can be mounted on the transom. However, in this case the entire transducer unit from the top down needs to be mounted below the hull bottom. In some situations, this can cause excessive spray (Garmin does offer an optional splash guard) and for trailer-boaters, presents the obvious danger of damage occurring if your trailer bunks reach all the way to the transom anywhere near the mounting point. There’s also a certain amount of danger of striking damage, which wouldn’t normally be as much of an issue with a standard skimmer-style transom-mount transducer. So, let’s get back to the initial question: is Garmin Panoptix LiveScope really as good as they say? As usual, the answer is a firm yes, no, and maybe – it all depends on the type of fishing you do, the style of boat you do it from, and the compatibility it has with your current electronics system. For relatively small boats with bow-mounted electrics and lots of LCD screen territory, this could prove to be one severely awesome system. For boats without an electric trolling motor, it’s a toss-up depending on various factors. For bluewater fishing machines it’s really a non-issue, since they aren’t often trying to scope out individual fish while in a static position or around structure, in the first place. And then, of course, there are finances to consider. 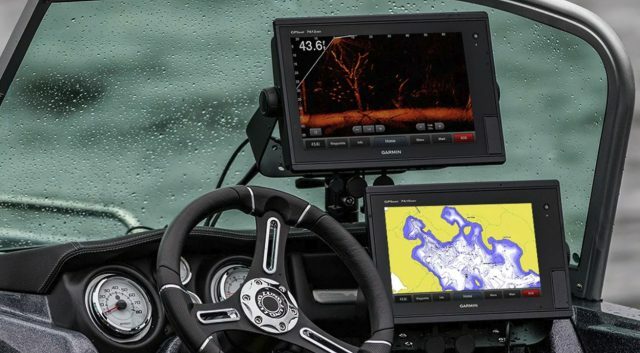 The GLS 10 and transducer list at $1,499.99 and if you don’t already have a Garmin MFD or two on the helm, you’ll also need to invest in an ECHOMAP or GPSMAP system. Still, when all is said and done no matter who you are or what kind of fishing you do you’ve got to admit, being able to see the individual fins and tail of the fish caught in this system’s sonar beams is pretty dang cool. For more information, visit Garmin. Get lots more boating info from Lenny Rudow on BD. Auto-Docking For Boats: Is This For Real? !